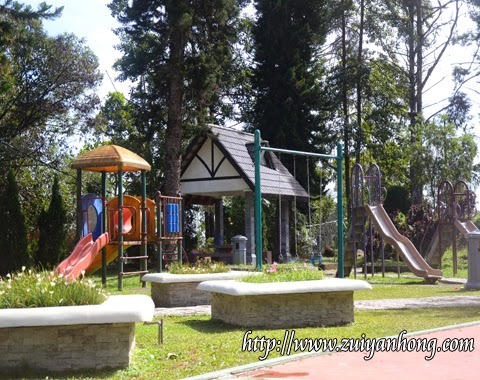 There is a children playground at Fraser Hill. 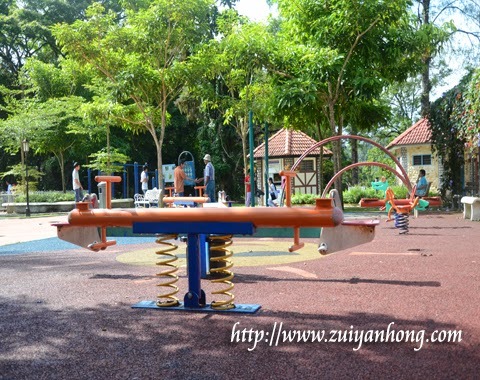 The children playground is next to Fraser Hill Food Garden. 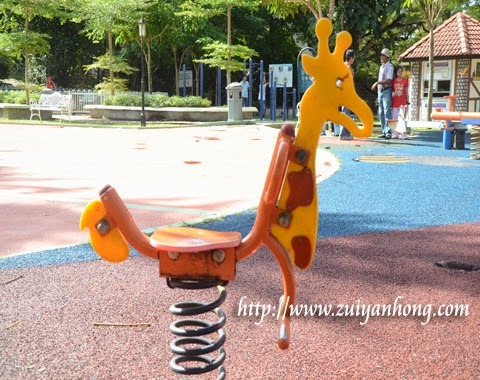 Various facilities for children are available in the children playground. We had a stroll in the children playground after savoring blue rice at the food garden. The stuffs in the above photo are trikkes. 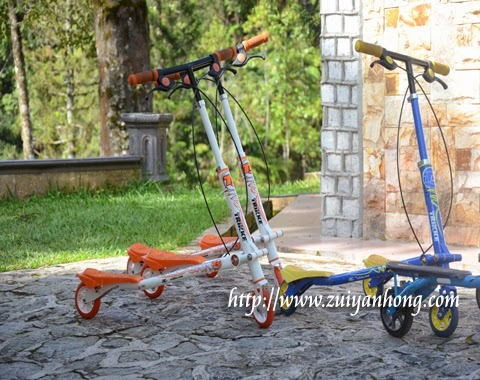 You can rent a trikke and have fun in the playground. This is a mini golf course in the playground. 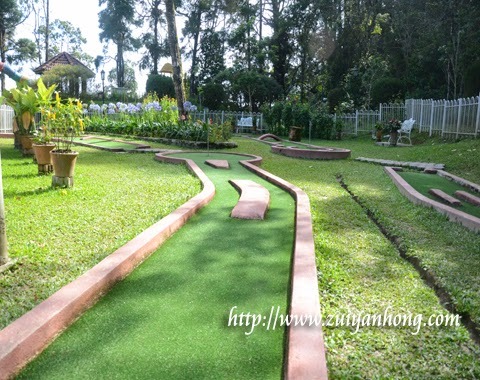 Visitors can rent golf club and golf ball to play at the mini golf course. The rental fees are shown clearly at the notice board. 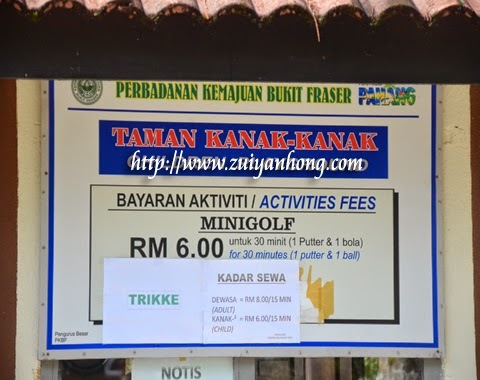 There are two categories of fee for the rental of trikke and mini golf equipment. 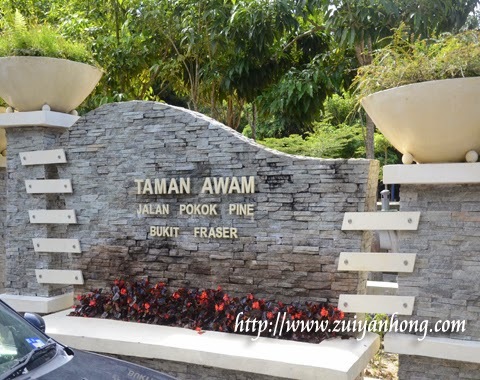 Besides playing and exercising, you can take a rest or walk around in the playground and enjoying the breathtaking landscape of Fraser Hill. This red flower is truly beautiful. Unsure what's the name of this red flower? 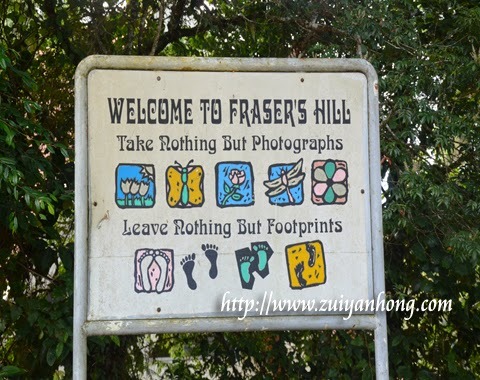 Fraser Hill Development Corporation should set up description board for tourists. This photo is showing the operating hours of children playground. Actually this is the notice of rental schedule. You can relax in the playground seven days a week at any time. 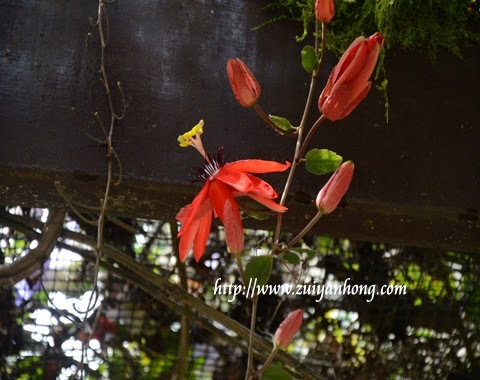 You should visit Fraser Hill as a civilized visitor. 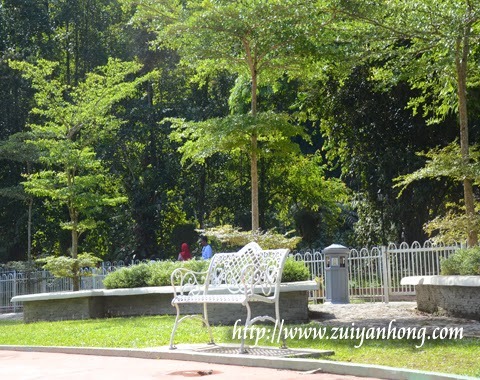 Comply with the rules fixed by Fraser Hill Development Corporation to ensure the natural beauty of Fraser Hill will be preserved.